During the Arab Spring in Egypt, Ramy Adeeb got frustrated with the fact that every time he shared info about what was going on in his birth country it would get lost between the pictures of people’s breakfasts and videos of animals doing cute things. He wanted a way to collect the things he found interesting online everyday and include his opinion on what was going on in each. The result was Snip.it, an online tool and website that allows you to “create collections of content and opinions.” You basically download their tool and then use to to “clip” content off the web. Then you put it in one of your categories, write your opinion about what’s going on and voila! You have a collection of relevant, interesting info. 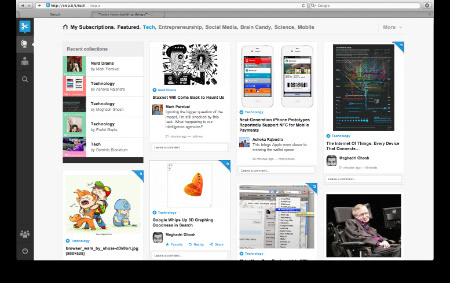 Oh, and you also can access other people’s collections and get their opinions about what’s going on across a broad spectrum of content. This isn’t Ramy’s first venture in the land of internet startups (previous projects of his, Groupme and Tellme, sold to Skype and Microsoft, respectively, for millions) and I don’t think it will be his last. Lucky for us, Ramy took some time to chat about a really silly mistake and what makes him tick. Naming companies is getting increasingly difficult–it is very hard to find a domain name that is remotely pronounceable. We knew our concept was about snipping: snipping your favorite articles, images, and videos into collections around your interest. 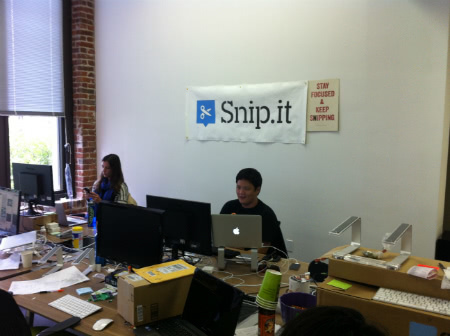 We originally called the company Snipbook–ala scrapbook. Then we learnt that Facebook gets really upset at companies with book in the name so we went back to the drawing board. After many rounds and iterations we decided on Snip.it–which was simple, catchy, and with a domain name that we could acquire. I check our stats from the day before and the overall health of the system. Started as two people. Now we are 10 people. Starting a company is an emotional roller coaster–particularly as we worked on raising our initial round of financing. But perhaps the toughest part was quitting my job–the hesitation that comes before jumping into the water. One of my favorite stories was the day of our launch. We had everything set up the night before. Then, right before we went to bed, we decided to fix one last bug. We fixed it, tested it, and deployed it to production. The next morning we tested the system again and it was working well. Then at 9:00 AM the press articles went live, we got tons of traffic, but no sign ups. And we saw comments on the articles form users complaining they were unable to sign up. We spent 15 incredibly stressful minutes until we were able to diagnose the issue–a combination of our bug fix the night before and a problem with our hosting provider prevented first time signups from working properly. We had effectively broken our site the night before the launch. Fortunately we were able to resolve the issue in under 20 minutes, but the stress and disappointment at the moment lasted much longer than 20 minutes. Every day! It is a balance: hiding your frustration can make you more frustrated. And showing it too much can be discouraging to the team. I try to maintain perspective and remember the old Persian and Hebrew saying: Gam Zeh Ya’avor, or that too shall pass. Open space. Music. We all sit around the same large pool of desks. It is a blast. Same open culture but thousands of employees and tens of millions of daily users. My role models would be Jeff Bezos from Amazon and Scott Cook from Intuit. I am inspired by folks who are humble yet determined. Folks who understand that running a company is about people as much as it is about numbers. I am also inspired by good food, Apple products, and everything Dieter Rams. We worked on the initial prototype ourselves. 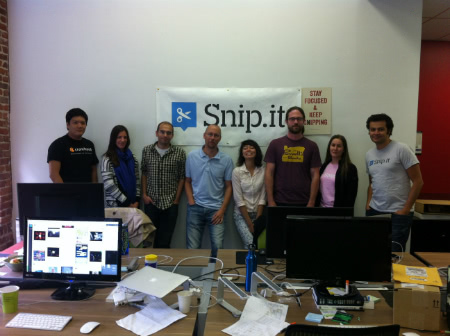 Then we raised a seed round from a number of VCs [in] Silicon Valley. Investors include Khosla Ventures, True Ventures, Charles River Ventures, and SV Angel. Less is more when it comes to your initial team. Don’t scale too fast. And talk to your users. What is your best advice to entrepreneurs? Most founder’s have a common mistake: they spend a lot of time doing what they do best–because they are good at it, they are picky, and it is easy. In the process, they forget to spend their time in areas outside of their comfort zone but where the business needs their skills. So my advice to every founder/CEO is the same as Joe Kraus’s: Fire Thyself: delegate what you do best to others in the team, and start spending more time thinking strategically about what your business needs. Work on an organization that promotes art and self expression in the developing world. I consider success to be more a journey of trying, stumbling, overcoming obstacles, and exceeding goals as opposed to a destination of meeting one specific objective. Otherwise we get complacent with our success. Wikipedia. It is my childhood’s dream come true: a book within reach with answers to every question imaginable. Ness. Because it is functional and beautiful. iOS. But I wish they [would] open up their walled garden more. We are changing how people express themselves online.